What Is Kayak Back Pain, and What Does It Mean For You? Pain plays a critical role in our survival and well being, because it motivates us to withdraw from potentially damaging situations, avoid those situations in the future, and protect a damaged body part while it heals. Pain is usually initiated by stimulation of the peripheral nervous system, that is the nerves in various parts of our body. These nerves are connected through the spinal nerve to our brain, where we become aware of the pain. The Nerves Involved In Kayak Back Pain, Leg Pain, Etc. The sciatic nerve is a large nerve fiber that begins in the lower back and runs through the buttock and down the lower limb. It is the longest and widest single nerve in the human body. The sciatic nerve supplies nearly the whole of the skin of the leg, the muscles of the back of the thigh, and those of the leg and foot. 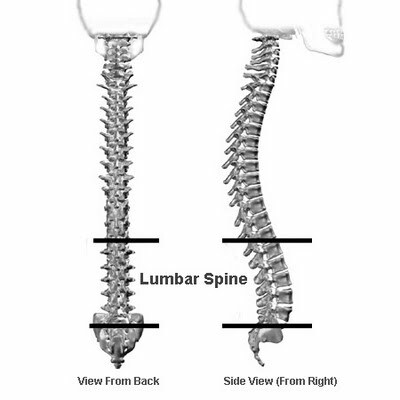 It is derived from spinal nerves L4 (in Lumbar vertebra # 4) through S3 (in Sacral vertebra #3) in the lower part of our spine. Your legs getting numb is a sign that means you should change positions, stretch, get up, and get things in order. Pain in your legs, or your lower back means something is seriously wrong, and you’re either risking physical damage, or actually causing it just by being seated in the L position, whether you’re paddling, resting, or fishing. You shouldn’t ignore pain, because the longer you feel it, the less likely it is that it’s just a warning of a possible damage, and the more likely it is to be either a sign of actual physical damage in the making, or worse – damage that’s already done. Paddling and fishing in the L sitting position while you’re feeling back pain is bad for you. By doing it, you’re actively prolonging your healing period, and you may even be increasing the damage in your back. This is especially true if you’re suffering from chronic, frequent, or acute back pain. When you consult with other kayakers and kayak anglers, or with kayak outfitters, kayak fishing guides or kayak dealers about the pain you feel in your back, some of them might dismiss pain as being unimportant, and complaining about it as ‘unmanly’. Others could even brag about their ability to keep paddling or fishing despite the pain they feel. In our view, anyone telling you to ignore your back pain is being irresponsibly wrong, and you should not listen to them. You’d better listen to what your back is telling you, don’t ignore it, and take it seriously, and you’d better consult your physician. If you’re advised to take pain killers while you’re kayaking, or kayak fishing, you’re being given a bad advice, since that would double your risk: You could be aggravating the damage already caused to your back, and possibly turning it into severe damage, and on top of this you’ll be increasing likelihood of becoming the victim of a kayaking or fishing accident resulting from numbed senses and slower reactions. Needless to say that the same is true for drinking alcohol, and for the same reasons, and in some states drinking alcohol while being on board a small boat is illegal, and could get you in a lot of trouble. Conclusion: You’d better not operate kayaks while suffering from a sore back. Seeking advice from a physician specializing in back problems, and even from your primary care physician is likely to help you better understand you back problem, avoid aggravating it, and eventually solve it. What Does The W Kayak Offer To Your Back? When you’re operating a W kayak in the unique Riding position, your legs support your upper body’s weight, similarly to when you ride a horse, or an ATV. This means there’s simply no backrest for your legs to compress your lower back against. The W kayak is unique, and all other kayaks (I.E. sit-in and SOT) feature a system including footrests in front of the paddler, and a backrest behind them. Such kayaks require that you sit in the infamous L position, with your legs stretched in front of you – constantly pushing your lower back against the seat’s backrest, and thus creating a condition that often leads to pain and injuries among kayakers, and kayak anglers. When you operate a W kayak, you can switch between Riding, Sitting in several postures (none of which is the infamous L position), Standing up, and Lying down on the saddle, in several postures. This means you can effectively ‘unkink’ , rest, stretch – both standing up and lying down, and relief local fatigue and stress in any part of your body, while still being in the boat, and operating it. None of the positions offered by the W kayak is potentially harmful. This new article examines the roots of lumbar back pain that so many people suffer from when paddling their sit-in and SOT kayaks and fishing from them. It’s called Lumbar Spine and Kayak Back Pain: Facts. It’s a must read because you won’t find this kind of discussion anywhere else, and if you like kayak fishing or just kayaking you obviously have concerns about your back.